DMT’s Digital Training Academy is LIVE!!! Take your training to the next level, wherever you are. The Digital Training Academy has hundreds of drills, videos, articles and training programs for shooters of all levels. From Novice shooters ready to step into the defender lifestyle to tactical operators, the Digital Training Academy has resources for you to grow your skills and improve your capabilities, all for less than 1 BOX OF AMMO per month! Check it out today! How do you want to train? DMT has the class for you! Click here now! Contact us to schedule a Free Trial Class! Click here to See what others have said about DMT! By far one of the best firearms training you can find in MN. Within minutes of arriving I quickly discovered a lot of flaws in my technique and equipment choices...in a basic fundamentals class. I walked away today very humbled and with a lot more knowledge than when I initially walked into the range today. My only regret is that I wished I had taken this course sooner. Thanks Beau, you just got yourself a new regular student! How do you want to train? DMT has the class for you! Defensive Mindset Training - providing defensive firearms and tactical training since 2006. Considering a weapon mounted light/laser? Check out Viridian's amazing line of tough and dependable products and use promo code DMT20 for 20% off your next light/laser! One of the best training tools ever made. We use them in every single class that we teach at DMT. You simply NEED a SIRT for your training kit. 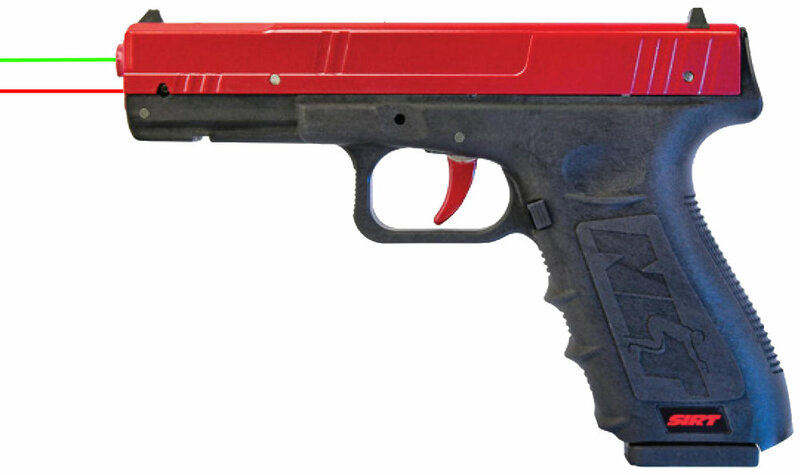 Use promo code "sealed" for 15% off your SIRT pistol from Next Level Training!